TJ's Fence was founded by the Marks family. Tim has over 22 years of experience in the fencing business. 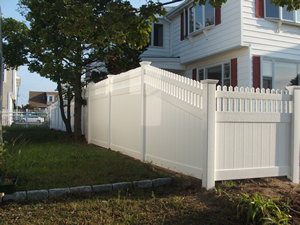 TJ's Fence is a small family owned and operated fencing company. We are reliable and trustworthy; and take pride in our work. TJ's Fence believes our commitment to quality workmanship and outstanding customer service makes our fences stand apart from the rest. We have just the right fence for you, and we provide repairs to virtually any existing fence. When you hire TJ's Fence you can count on us to provide you with all your fencing needs. Let our family help keep your family safe!